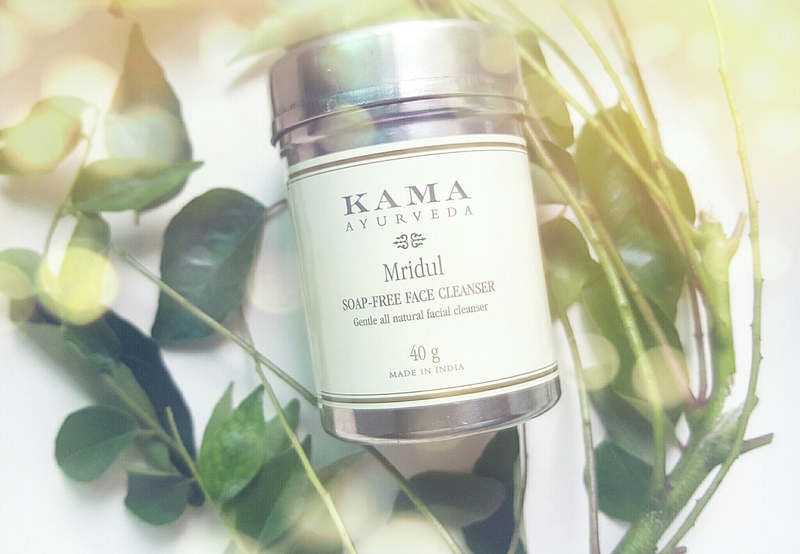 A couple of months ago a friend of mine had gifted a Kama Ayurveda Mridul Soap-free face cleanser, knowing how keen I was for organic and natural products she asked me to give it a try and that it would help with my acne scars and brighten my face. This soap-free facial cleanser is soothing and gentle on your skin, all made with natural ingredients, it comes in a green powder form and packaged in a cute vintage type tin can, which I find adorable! Though some of you might find a powder form cleanser messy, Let me guarantee you it’s worth the mess, as long as you don’t throw it around or jump along with it, you should be fine (obviously depending on how neat you are). These ingredients help soothe and cleanse your skin effectively, turmeric has antibacterial properties while sandalwood and rose help sooth skin and helps shrink your pores. This cleanser helps prevent acne, fades off acne scars, detoxes your skin! Add one spoon (the spoon provided with the cleanser) to your palms, and a few drops of water and make a paste, If you have oily skin you could use rosewater as well. Rub the paste on your moist face and keep for 30 secs or a minute and wash off. Now for the Pros and Cons of this product. – Well, if you plan to carry this in your handbag or baggage, make sure the lid is tight, it can be messy if spilt. – To make the powder into a paste might not be suitable if you are in a hurry or lazy.